"Dr. Sanghavi has been great. She is so understanding, patient, and thorough." "Dr. Sanghavi and his team are thoughtful, caring professionals." "He is an expert in his field...treats people with dignity and respect." "The doctor is fantastic, thoughtful, and knowledgeable, as are his front desk/nurses." "He does not rush his patients and listens to every question and concern." "One of the best gastro doctors in NYC. Professional. Knowledgeable." "Dr. Sanghavi is the most caring, knowledgeable, and wonderful physician I have ever met"
"They don't make doctors like her anymore. She calls...doesn't rush me off the phone." Gastroenterology on Gramercy Park has been providing outstanding gastrointestinal care to patients in New York City for more than 30 years. Bharat Sanghavi, MD, Moushumi Sanghavi, MD, and Samantha Nazareth, MD, are board-certified gastroenterologists who provide expert care for a variety of gastrointestinal problems. They perform endoscopic procedures, including upper endoscopies and colonoscopies, as well as treatments for symptomatic hemorrhoids. The team is dedicated to giving each patient a high level of satisfaction by providing next-day or same-week appointments. Drs. Bharat and Moushumi Sanghavi and Dr. Nazareth prize personalized care and aim to take as much time as needed to answer questions and explain procedures. The practice is consistently recognized for the timeliness of appointments, friendliness of the staff, quality time spent with patients and excellent physician bedside manner by patient-rating websites, including Healthgrades, ZocDoc, and Vitals. Endoscopy and colonoscopy procedures, as well as hemorrhoid treatments, are conducted in the office, at East Side Endoscopy, or at Mt. Sinai Beth Israel. Noninvasive tests available at Gastroenterology on Gramercy Park include Helicobacter pylori testing, metabolic testing, food intolerance testing, small intestinal bacterial overgrowth testing, and abdominal sonograms. Drs. Bharat and Moushumi Sanghavi and Dr. Nazareth are accepting new patients and are in-network with most insurance plans. For the very best in gastrointestinal care, call Gastroenterology on Gramercy Park or make an appointment online. 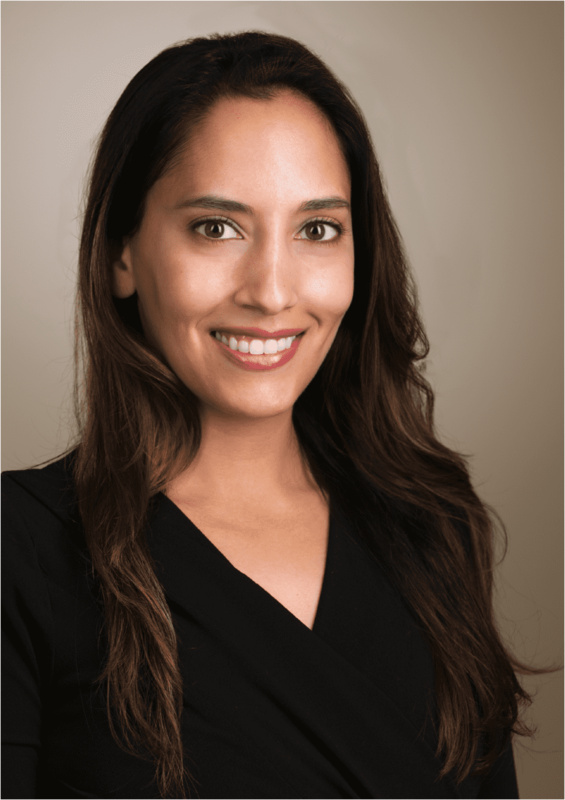 We are proud to welcome Dr. Samantha Nazareth to our team! La Dra. Moushumi Sanghavi habla español y da la bienvenida a los pacientes de habla hispana. Dr. Moushumi Sanghavi specializes in nutrition, weight loss, and overall wellness. She offers expertise on diet and lifestyle. Dr. Bharat Sanghavi and Dr. Moushumi Sanghavi are in-network with most major insurance plans. Here is a list of the plans accepted. Some plans are provider-specific and/or require a referral. Please view the Patient Resources page or contact us for details. Both physicians also accept uninsured patients. Please contact our office for prices. Payment plans are available. "I have been going to Dr. Sanghavi for 15 years. I have found him to be kind, knowledgeable, caring, and excellent...His manner easily puts one at ease." "Dr. B. Sanghavi is a very compassionate, knowledgable, and experienced GI specialist. His office is also very easily reachable by train or bus in Manhattan, NYC." "Dr. Sanghavi is a model doctor in so many ways. He is warm, caring, and goes beyond the call of duty"
"Dr. Sanghavi was very courteous and spent adequate time with me in understanding my case. Everything went so smoothly and professionally."